The company aims to entertain, empower and educate rural and semi-urban masses. 1) Founder: Started by Y.V. Ratna Kumar in February 2016. While running his Vijayawada-based business consulting firm APIMS India, Kumar realised that rural India needed a huge boost in terms of entertainment, information and services. 2) Big Idea: The concept of Y Screens Trade Development (YSTD) Center to serve semi-urban and rural areas is unique. Each centre houses a movie theatre, a government services centre called Mee Seva, and a Y Square Business Incubator to mentor youngsters who want to start a business. There are also other value-added services such as health kiosks, banking (ATMs/e-banking services), food courts/restaurants, gaming zones and branded retail outlets. These centres are built on unutilised public spaces near bus terminals and railway stations where people often wait for long hours, and also on private lands in Tier-II, Tier-III and Tier-IV cities. The area required is an acre, the investment required is `3.5-4 crore and construction time is six months. 3) Rivals: No direct competition. 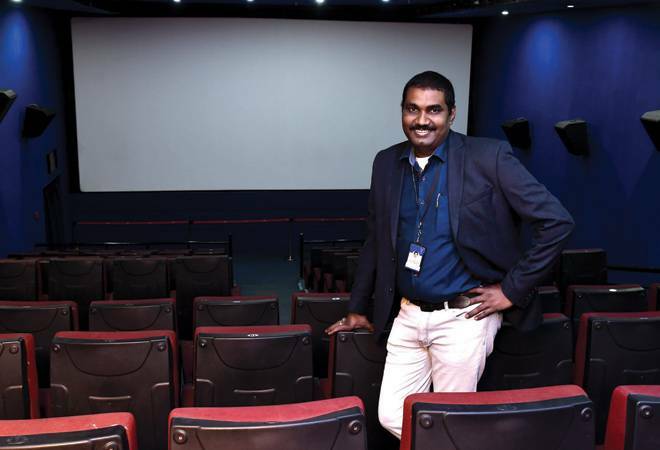 Companies such as PVR only have movie theatres but not an integrated format like YSTD centres. 4) What Sets It Apart: The start-up only operates in semi-urban and rural areas, and engages with local youths in a number of ways - ensuring affordable entertainment (a movie ticket is priced at Rs 100), giving them jobs at the centres and providing them support to start up on their own. Kumar claims that each YSTDC will generate 100 jobs. Its team of 35 comprises local youths, all of them aged below 30, and 30 per cent of them are women. The Y Square Business Incubation programme promotes entrepreneurship, helping locals to implement their business ideas, raise funds and network with the right people. Also, rent from unused spaces on which the centres are built is an additional source of income for the government. Kumar claims to have paid Rs 2.4 crore to the Andhra Pradesh government in the form of tax, rent and power tariff. 5) Milestones: The first project in Vijayawada at Pandit Nehru Bus Station was completed in June 2016. As of now, two centres are operational, 11 are under construction and 25 MoUs have been signed under partnership plans.